This blog post is a mixed-bag of things. 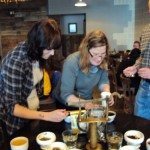 It’s a tea cupping (I don’t think I’ve ever talked about a tea cupping before, though I talk about coffee cuppings all the time.) It’s about the very limited small cooperative Rwanda Fair Trade Starbucks coffee available in the UK, Ireland, and Middle East (this is not the same coffee as was widely available in Starbucks stores all over the US last summer). It’s about Arabian Mocha Sanani again. And it’s about having fun. 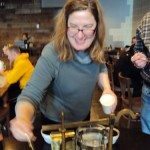 I’m just going to walk you through my experience at 15th Avenue Coffee and Tea, and today’s morning cupping. (If you’re confused by the discussion of 15th Avenue Coffee and Tea, please read carefully this blog post: Streetlevel 101: There are two non-branded mercantile Starbucks). Today I ran into 15th Ave Coffee and Tea excitedly with two bags of rare Starbucks coffee: Arabian Mocha Sanani and Rwanda. 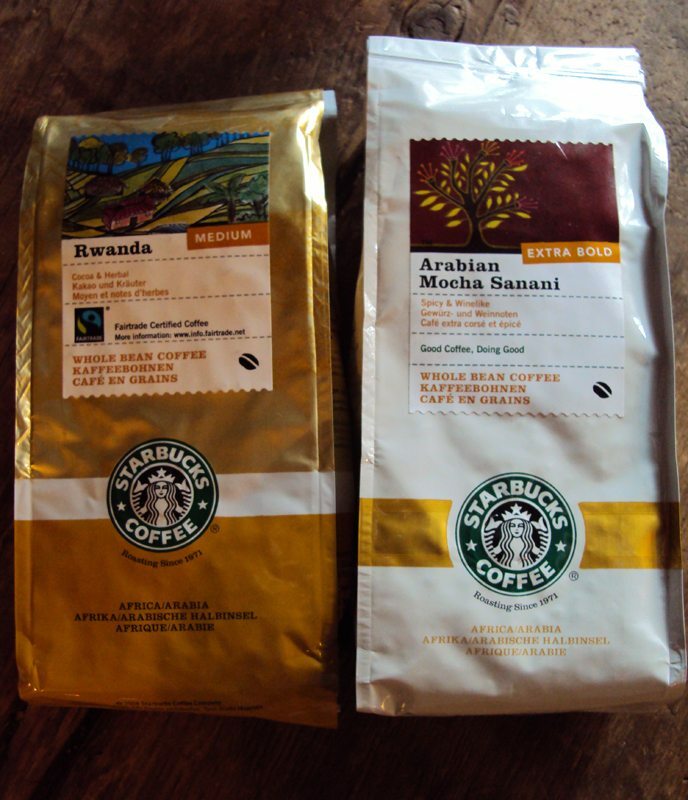 Both of these coffees came to me from the UK, and are sold in the United Kingdom, Ireland, and the Middle East. The Arabian Mocha Sanani is the beautiful coffee from Yemen growing region, and is known for its wine and spice aroma and flavors. 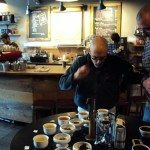 The Rwanda coffee is NOT the same coffee that was sold all over the United States just last summer, but rather was a small purchase of beans from a small fair trade cooperative in Rwanda. Both of these coffees are only offered in limited markets because there is not enough of these beans to supply 16,000 stores all over the world. 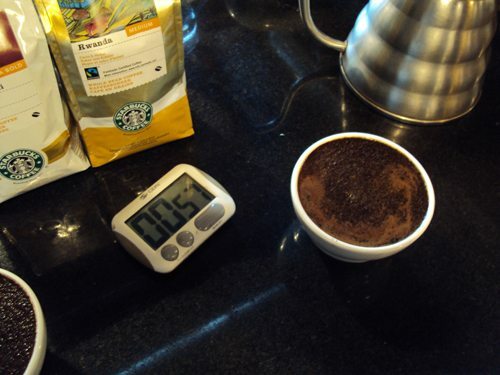 Rather, Starbucks sources only a smaller amount of the beans to ensure their high quality, and then offers them in limited Starbucks markets. 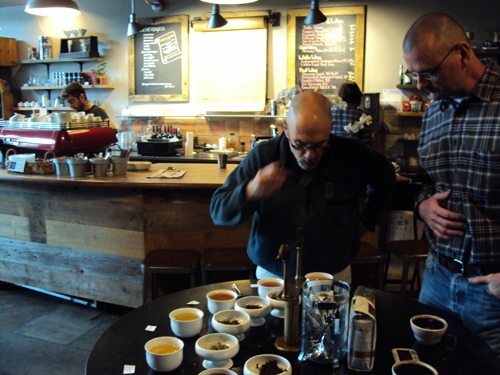 Much to my surprise, the baristas at 15th Avenue Coffee told me that today was going to be a tea cupping. Tea? I thought puzzled. I wanted coffee. The baristas immediately offered to cup my two rare coffees too. I think they wanted to try them too. 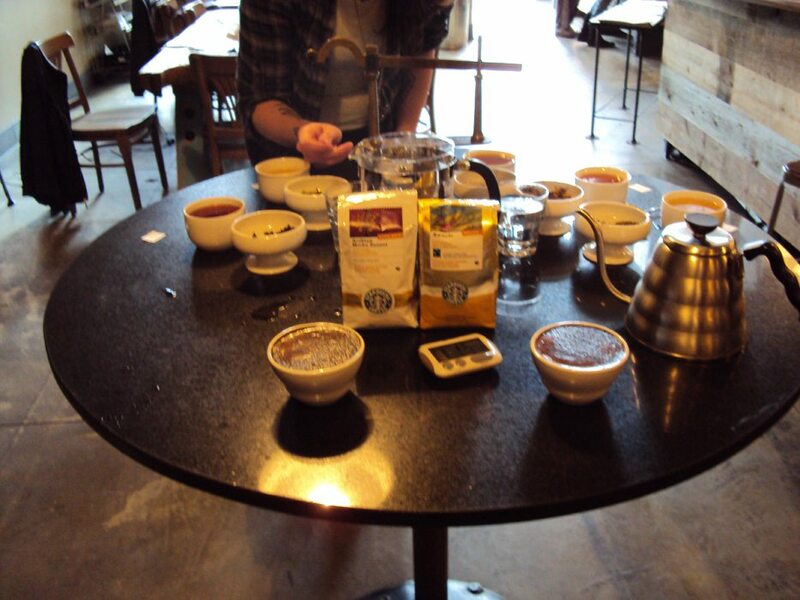 So today was the rare kind of cupping where we had both coffee and tea on the table. 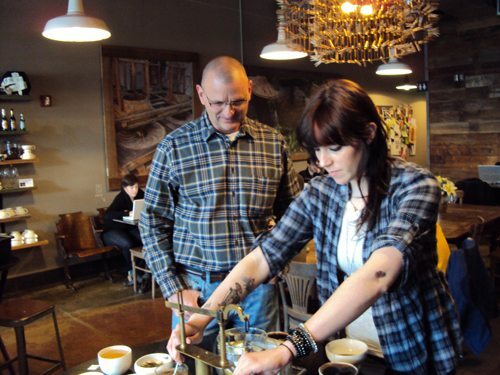 Baristas Jenna and Alex got everything set up to go, and the cupping started. The group included two random customers who joined, Major, the baristas, and myself. One of the two customers was named Mike, and definitely not camera shy. He was truly completely okay with his image all over a Starbucks blog! As to the two coffees, the Sanani had the very distinct wine aroma and wine flavor profile that it is famous for. The Rwanda was a very hearty delicious meal of a coffee. One barista said that it smelled, “meaty” in a good kind of way. It was indeed a pretty rich and almost savory coffee with a medium to heavy body that I really thoroughly enjoyed, and I could see that others did as well. Both coffees were a hit. 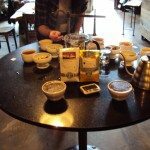 That was today’s adventure in cupping tea and coffee in one sitting. Sorry that there isn’t more substantive detail about the tea. Hope you enjoyed this tea cupping. 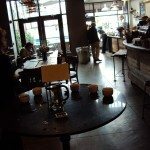 Starbucks to close the Tazo Tea store – A Teavana store to replace it. Sounds like a nice change of pace for a tasting. On the subject of teas, I hope that Starbucks at some point brings Tazo’s Montage full leaf tea to their stores. It’s a blend of Black, Green and Oolong. Fun post! Great photos, as always. The Silver Needle White is one I haven’t tried yet, sounds interesting. Well this sounds like a positively wonderful experience. 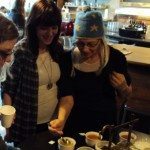 Of course, although I do enjoy tea on occasion, I’m not sure I’d want my palate to have to wrestle with any other flavors while coffee cupping. Nothing against the tazo products, just not my cup of… well I’ll spare you all the pun. Melody- you said you would write about tea!!! Sounds like a great experience and it sure would be nice if the regular SB stores did this. 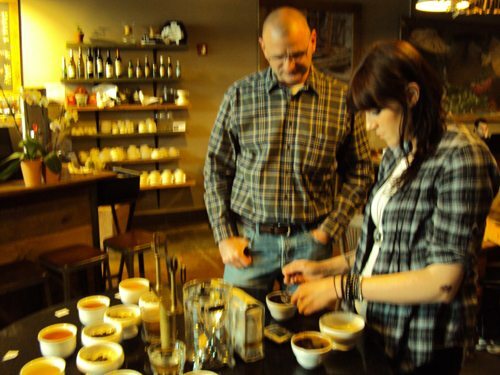 Bring the store and the group to the east coast for a tea cupping!!! Seems like there is more going on in the Seattle stores than here. 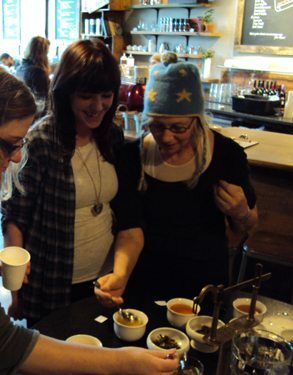 I am so envious, I would love to go to a tea cupping! I can tell you some of those are certainly not tazo flavors i have had! I have certainly heard of the other flavors before, but they aren’t listed at the Starbucks store. I would enjoy if they were offered in the future! 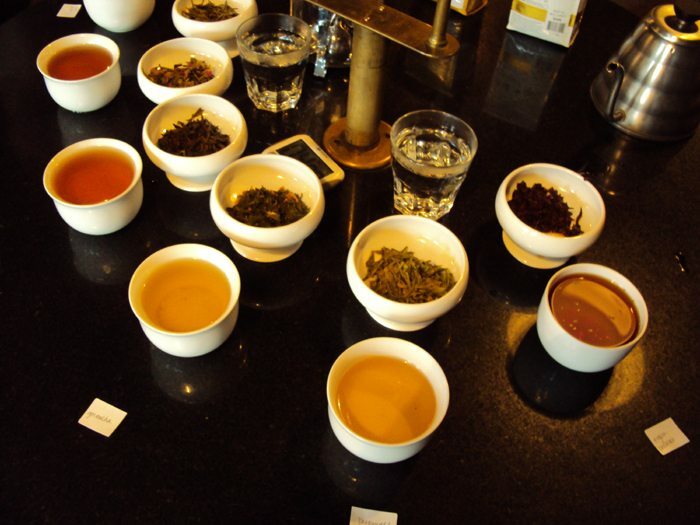 It is very interesting that Starbucks uses the same water temperature for coffee and all of their teas – especially now that they have elevated their tea offerings to full leaf. 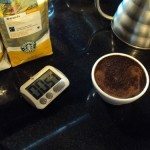 Starbucks educated me on the proper methodology for brewing coffee and I do find it peculiar that they are more lax with their tea brewing methods. I am sure that there are practical reasons for this, but it is still a bit disappointing. 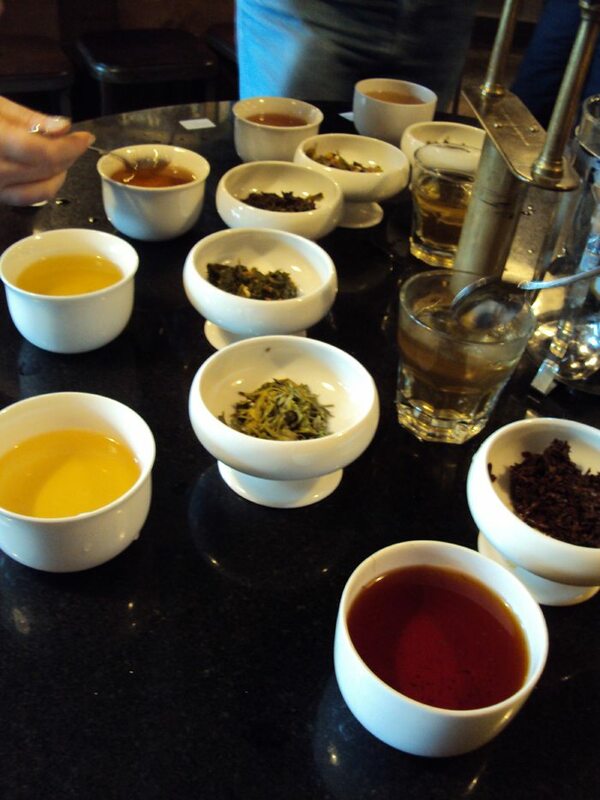 @purple1 and AmazonV – It was just coincidence that I stumbled upon a tea cupping. 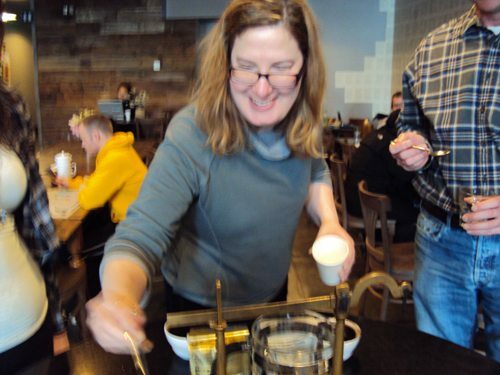 They do them at 15th Ave Coffee and Tea, just a lot less frequently than the coffee cuppins. I wasn’t looking for a tea blog post, it just happened! AmazonV what’s that link to that amazing tea blog you write? @CD – It would be great if someone (at 15th) double checked my facts about the water temp and the tea. I’m not totally even sure I got that right. Hey Melody. 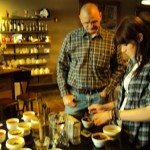 When I dropped by 15th Ave. Coffee&Tea during my UW visit, the did a tea cupping. I did notice that the baristas used the 200 degree water from the Fetco tower. They explained that they had no other option. 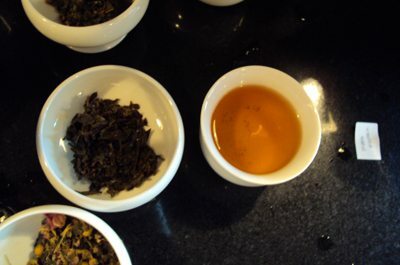 Unfortunately, using such high temperature water on green and white teas over-emphasizes the astringency of the tea and the delicate flavors get lost. Hopefully, this will be an area of future improvement. A possibility could be to use a Zojirushi or similar tabletop boiler for lower temp water. Tea, huh? Now that could be an interesting transition between hot chocolate and coffee. Of course, I’d rather they did a hot chocolate tasting. 🙂 It’s got beans and small producers and special varieties too, after all! Send more hot chocolate! @Melody my little tea addiction is here: http://amazonv.blogspot.com/ I am surprised my local bariastas survived my ‘are they here yet’ queries for the full leaf. Luckily the 200 degree water they use is fine for blacks and herbals, just not for greens. @Brendon thanks for the update, personally not having a variable temperature kettle I tend to use the pour and wait method…you just wait the water out to lower to the right temperature. I can see that adding another device (variable temperature kettle) or more detailed directions (place in thermometer, wait until it reaches 175, drop in green tea bag 2 minutes, take out hand to customer) could be too much to handle in the already lean stores. I also was hoping though that they would elevate most people’s tea drinking experience in the same way they taught me about coffee (it may not be my favorite, but I enjoy it now, and can’t stand folger’s). Call me silly if i missed the link somewhere, but is there a schedule of tea and coffee cuppings? If i do get a chance to make it I would want to make it to one, the other, or both. 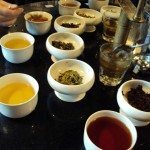 Though I have only heard of tea tastings by companies before and not cuppings, I think I may have to think this blog to Steepster and ask. 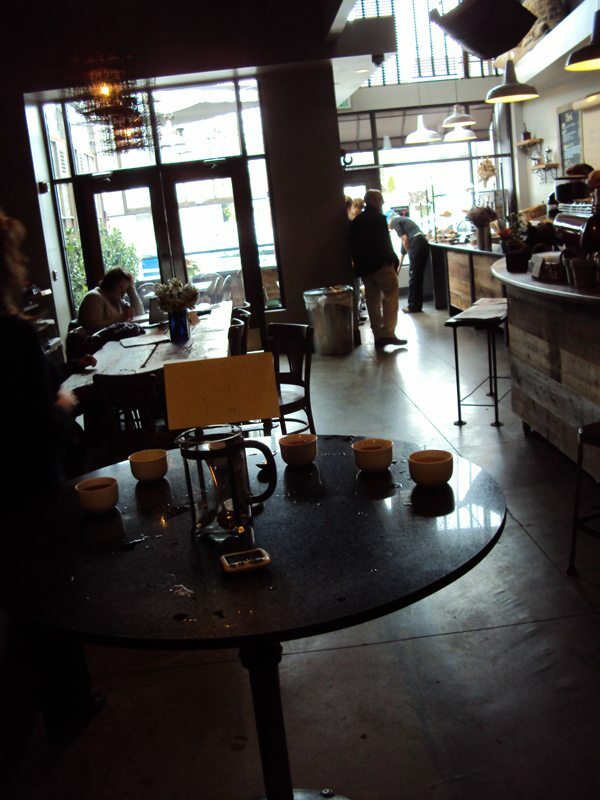 Yet another reason I need to visit Seattle… Starbucks or not, these coffee shops sound like great places to visit. 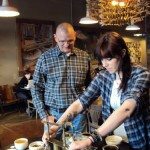 I’ve started to find some local coffee shops around where I live in Atlanta (non-Starbucks, of course). One of them in particular has the great atmosphere of an independent shop, but no cuppings at this place… Maybe I can convince them to start! Now, if only there was a way to get my Starbucks Gold Card universally accepted at all coffee houses…. Off the subject a bit but certainly an interesting idea to have the SB gold card accepted at other coffee shops. Around here there are not that many interesting alternatives unless you go into nyc. I still hope perhaps my local SB would do a tea cupping. I love tea so the tea cupping idea would be really fun for me! 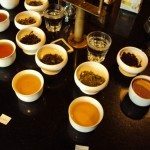 Regarding tea water temps, they DO vary per type of tea. 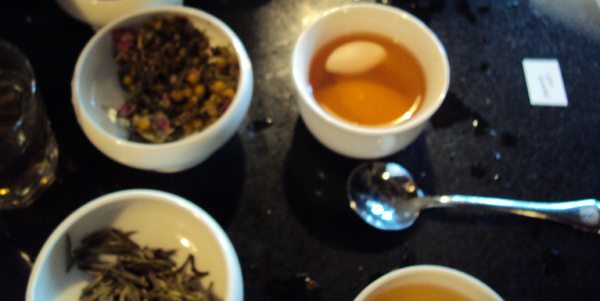 Herbal infusions are brewed near 200 and Whites are brewed down near 175 with black, green and oolong falling in between. The best way to experience this is with the new Clover tea water-dispenser that can be seen at Roy Street and has the capability of brewing any temperature of water at any time. As we don’t have one yet I can’t be quoted on the technology but the machine, I believe, has multiple boilers giving it the ability to brew an 175 degree cup followed immediately by a 205 degree cup without pausing to reheat. If you haven’t yet- go check it out! 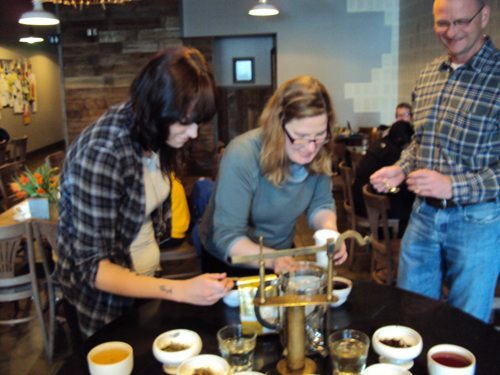 Ask one of the baristas to brew you a silver needle on 175 and another on 200… The difference is definitely apparent! I love tea! When I’m not drinking coffee, I am sipping tea, especially jasmine. I also love a smokey lapsang souchon on a cold day. Wanted to comment on “South of the Clouds” – loved it! Very flavorful. I don’t know why people always say Starbucks tastes “burnt.” I don’t think so. There are other brands out that that seem “harsh” to me, but Cafe Verona, Sumatra and now this one seems really smoooth and tasty.